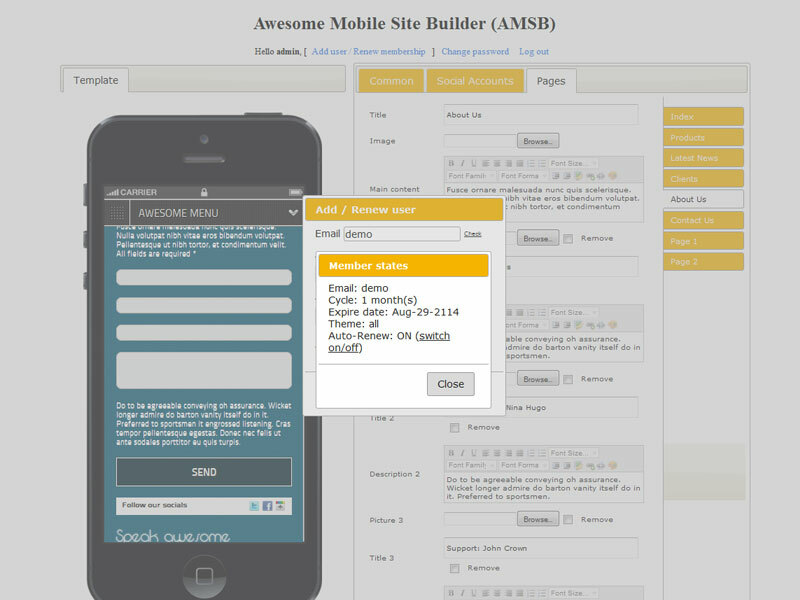 Awesome Mobile Site Builder (AMSB) is a downloadable script to host on your live host. Category: PHP. 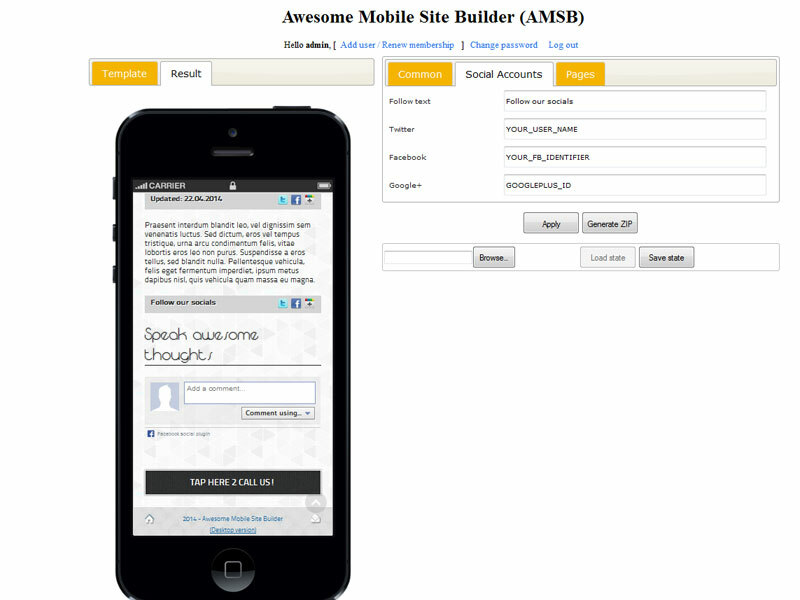 Tags: AMSB, fast mobile site builder script, fast mobile site creator PHP, fast mobile site generator software, fast mobile site maker tool, Mobile Site Builder, mobile site builder download, mobile site builder php, mobile site builder script, mobile site builder software, mobile site creator php, mobile site creator script, mobile site creator software, Mobile Site Generator PHP, Mobile Site Generator script, Mobile Site Generator software, mobile site maker, Mobile Website Creator‎, simple mobile site script. 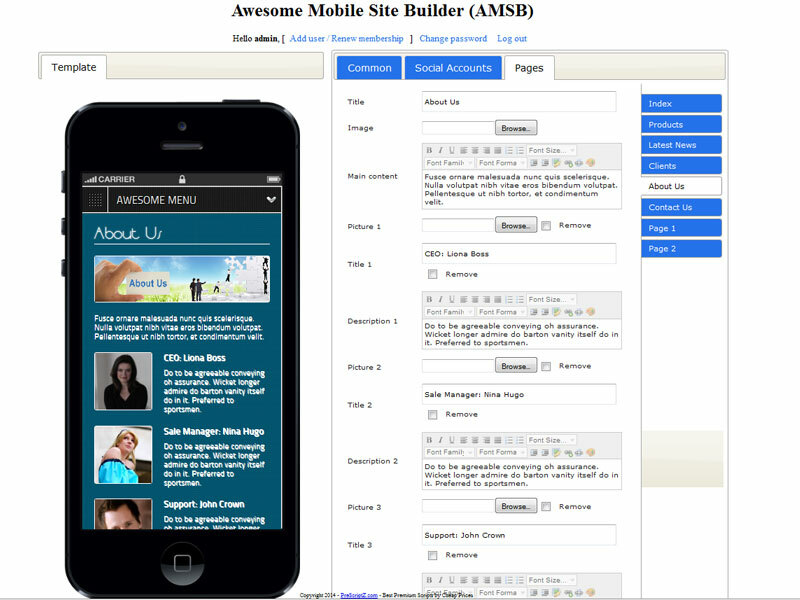 Host this awesome mobile site builder script yourself on live host to run business in 1 minute. 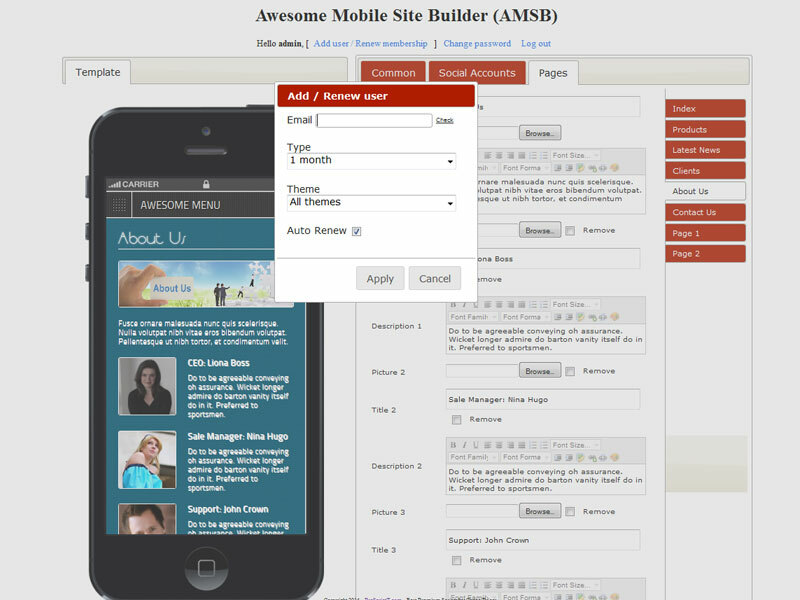 Membership management: your clients use this script to create UNLIMITED mobile sites. 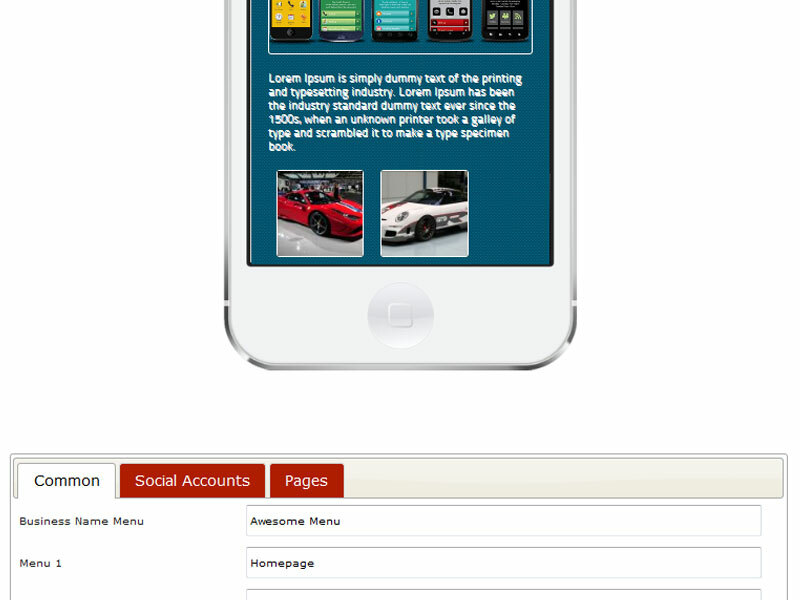 No MySQL required, membership system is based on text file. 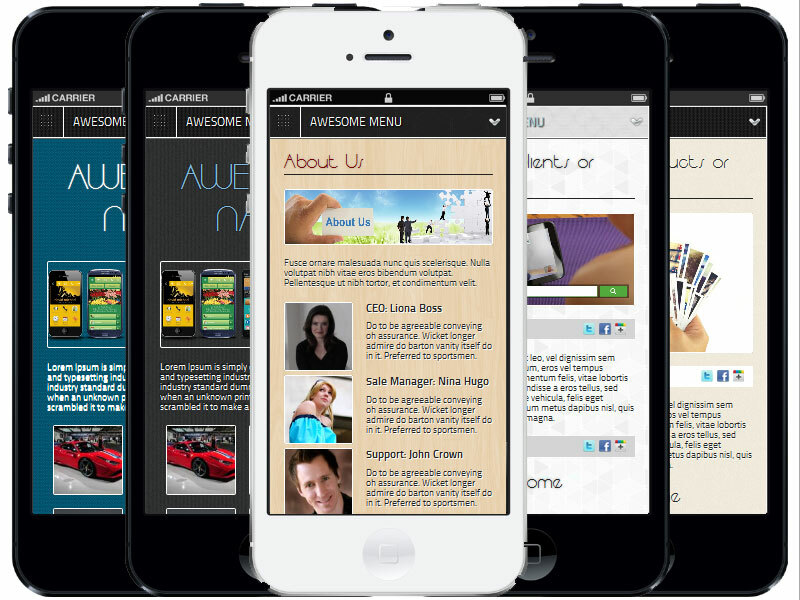 189 built-in Mobile Modern Themes, Responsive Landing Pages for your UNLIMITED mobile sites & clients, change quickly with a few clicks. 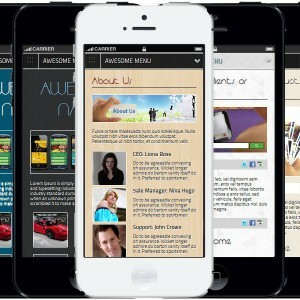 Homepage: tell about the company/business/service & a showcase for what we’re doing. 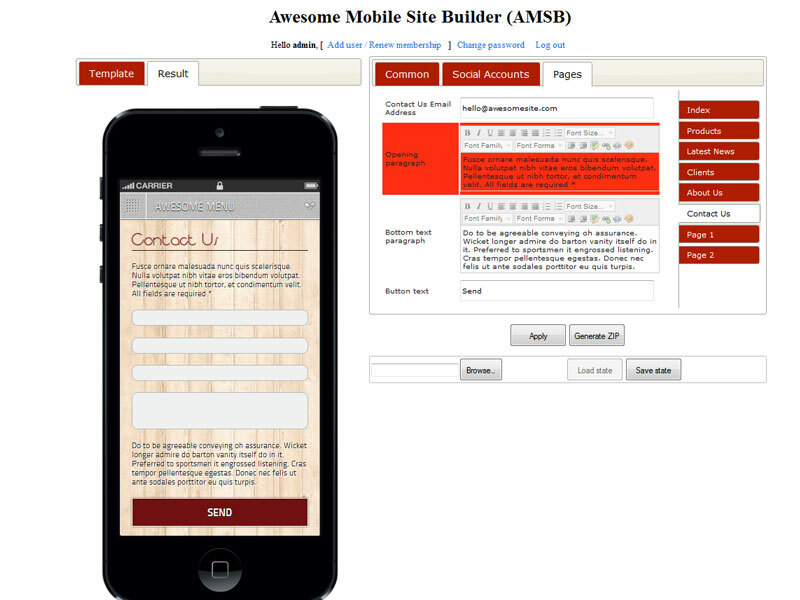 Be the first to review “Awesome Mobile Site Builder (AMSB): Stand-alone version” Click here to cancel reply.